What Does Your Desk Say About Your Marketing Style? Did you know that your desk could be saying a lot more than you think? Not to be judgy, but whether or not you have considered your workspace and how it reflects your marketing style, your co-workers have. Often the first place coworkers tend to look to get a general perception of who you are and your skills is your desk. 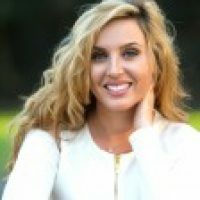 As a Marketo Business Consultant, I see many marketer’s desks when I visit with customers.We know that marketing professionals are busy and pulled in multiple directions. So, when we see a workspace that looks, well, ‘worked,’ we tend to smile. It’s not so much the tidiness factor, but what you’re projecting to your team and whether that image will help you build upon your fundamental marketing skills. In fact, the article, “Clean Your Messy Desk, Lest Ye Be Judged,” reported that almost 60% of people had judged a co-worker based on their desk. Noting that a clean desk conveyed ‘accomplishment’ while a disorganized workspace implied ‘an out of order life.’ Positive or negative, your co-workers could be (read: are) analyzing your work based on your desk. Marketing teams are made up of an array of diverse talents. So whether you’re a creative, an analyzer, or an intellect, it’s important that the skills you bring to the table and your personality are reflected, visually displayed, and nurtured by your workspace. So given that people are making assumptions about your personality and work style based on your desk, how can you use your desk to really reflect your personality and represent the skills you possess? In this blog, we’ll take a look at three workspace styles that I’ve seen, what they say about you, and the kind of work they are most likely to inspire. 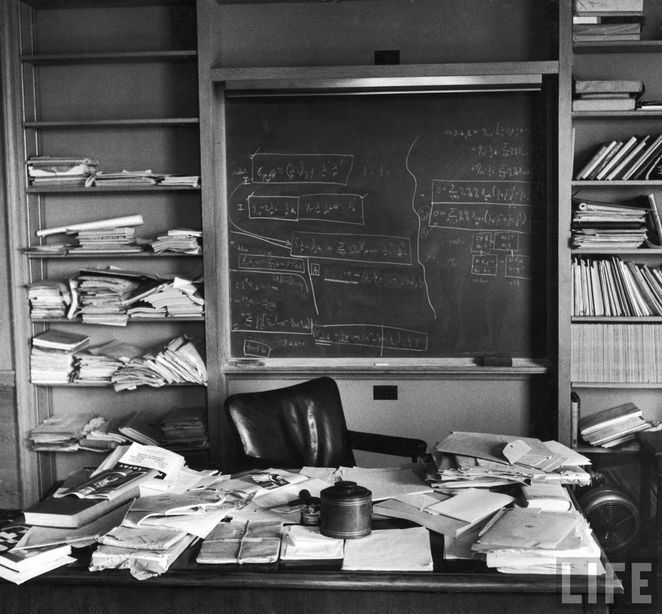 A famous example of what a workspace says about a person occurred when Einstein passed away on April 18, 1955. Journalists immediately made their way to the Princeton Hospital, but one photographer split off from the pack and made history. Ralph Morse side-stepped the crowd at Einstein’s office at the Institute for Advanced Studies and snapped, what is now, an iconic picture. In the famous photo of Einstein’s office, there’s not an inch of desk peeking through the papers and books, and he liked it that way. As one of the greatest minds we have known, Einstein was a creative and a creator. Like many modern marketers, it’s common to find that the creative-types have desks or offices that reflect their fast-paced environments and minds. While it’s easy for others to judge based on the (organized) chaos, psychologist Kathleen Vohs, from the University of Minnesota’s Carlson School of Management, wanted to see what the typical reaction was to a little bit of chaos. In her study, Vohs placed people in either a tidy or a messy room in order to determine if their environment affected the choices and decisions they made. The results were surprising, the people who were surrounded by tidiness chose things that were ‘classic’ or ‘conventional.’ While the other half, surrounded by messiness, made decisions based on novelty, and looked for the ‘new’ or ‘innovative’ option. In conclusion, messiness has value. The study demonstrated that mess or chaos does increase creativity and maybe, encourage a bit of rebellion against the norm. A little chaos can go a long way. It can help us reflect on our creative side and uniqueness rather than conformity, which is good for marketers. Finding inspiration in a little disorder is a marketing style that conveys you’re innovative. So when it comes to your workspace, it’s all about cultivating what makes you unique as a marketer. If you prefer a workspace that encourages creativity, then try adding inspirational objects to spark your creative side. Even if it’s not your norm, or comfort zone, you could try to create a space that will help foster the traits you want to cultivate. For example, you could prop up your favorite book on your desk, or a word puzzle or game that is inspiring. We all know a marketer who has a desk that should be in a magazine. Everything is perfectly placed as if they are always ready for a photo opp. They probably take inspiration from Mary Kay Ash, the president of Mary Kay cosmetics. 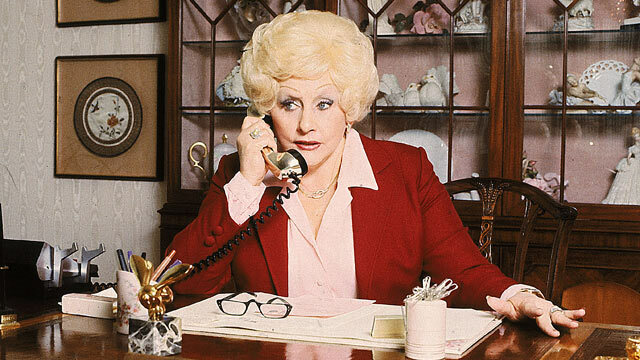 A famous example of a clean workspace was Mary Kay’s home office in Dallas, Texas on New Year’s day in 1982. In the picture, Mary Kay rests on one elbow with a phone glued to her ear while intensely working. Her surroundings are calm with a neatly stacked calendar, a cup of pens, and even a place for paper clips. Being coined as a master marketer in her industry, Mary Kay had an image to uphold. Photos of her in action are examples of how life and work can reflect one another. A tidy workspace can help you stay ahead of the game. There is something to be said for a marketer that knows where everything is and can provide resources in a blink of an eye. To accomplish this, you could have an organizational strategy to help you stay productive. For example, you could use file folders for daily tasks, sticky notes, or a whiteboard to keep your workspace clear of clutter. Having a workspace set up for success conveys that you’re ready for every marketing opportunity and challenge. To improve your already professional demeanor and workspace, you could spend less than five minutes each day straightening their desk before you head out. Putting dirty cups in the break room, wiping down spills, and throwing away trash. That way you can keep your desk organized and looking sharp. It’s then a workspace that conveys you’re ready for anything, no matter how your day unfolds. There’s a new kid on the block. The marketer who performs in highly agile work environments, disrupts the norm, and spends most of their time working. Sound familiar? It should because most of the desks we’ve bumped into as consultants are designed for these types of workspaces. The professional disruptors are easily recognizable as the ‘middle of the road’ between organized chaos and neat as a pin. For inspiration, we look no further than Mark Zuckerberg. Many photos taken of him in action show an office that is what you’d expect from a busy business tycoon. While it’s not as chaotic as Einstein and not as immaculate as Mary Kay, it does show a style that is more focused on work rather than status or control and order. 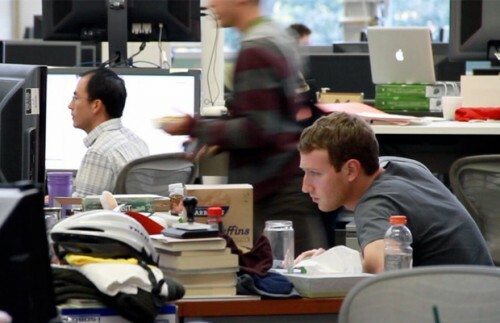 In one photo of Zuckerberg’s workspace, it shows a desk that has wires coming out of every direction, a cereal box, and a half-drunk bottle of soda as he intensely works on a laptop. So this sounds like, at least for me, it could be most of our desks after a long day at the office—right? With this style of desk, a marketer can get the best of both worlds. They get to surround themselves with things that inspire them and spark their creativity and they have some sense of organization, which allows them to know where everything is and be able to gather it in a flash. To achieve a marketing style like this, you can pick a day to organize, most likely the end of the week. Then throughout the week, you can leave everything where it is and focus on your tasks and projects instead. You can express your marketing style as innovative while still conveying professionalism through your workspace by keeping everything where it needs to be and adding one of two things that make you feel inspired. To wrap up, it makes sense to stick with the style that aligns most with your talents and displays them to your team. It’s about being clear about who you are and what you bring to the table. Though if you want to try a different style to nurture new skills, by all means, forge ahead—there are definitely benefits to each type. If you’re making a change, start small at first. If you have a clean workspace and want a little more inspiration, try adding a few distinct pieces that encourage your creativity. Or if you typically operate in an organized chaos space and want to project more professionalism through your workspace, try tidying up a bit each day. You can always take the middle of the road and focus on your work and less on your workspace throughout the week. Ultimately, your work—marketing—should always come first. The goal is to create a space that demonstrates and reinforces what a stellar marketer you are. Look around the office and take note of the top three workspaces: organized chaos, neat as a pin, and professional disruptor. What style do you think helps foster your marketing?